FAVORI understands how scents can become a strong stimuli to one’s positive feelings. By using only top-notch imported ingredients, FAVORI creates quality aroma products with technical know-how and passion, aiming to enhance its user’s physical and emotional well-being. 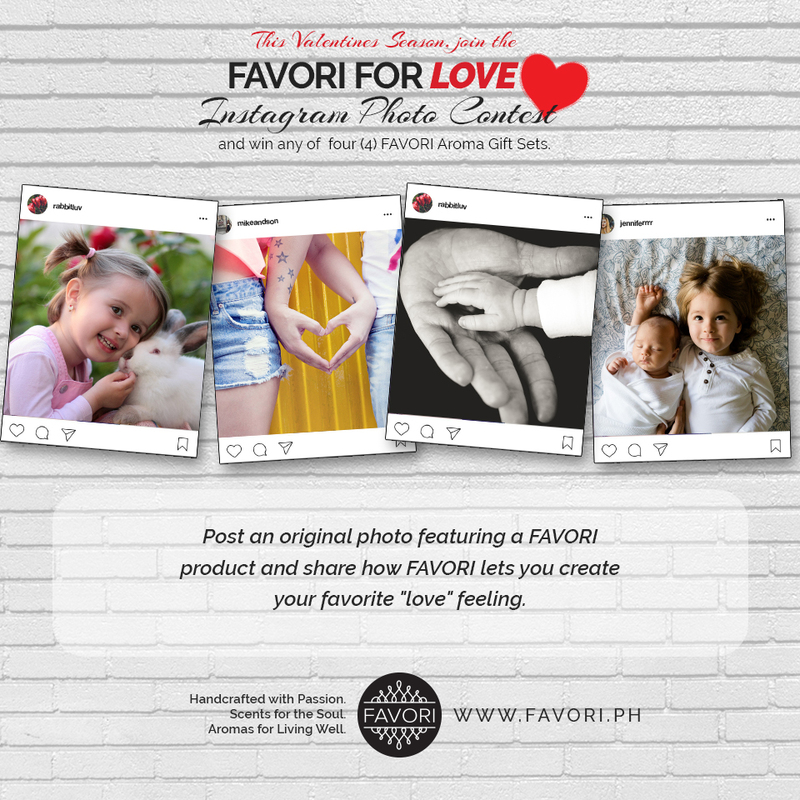 The FAVORI for LOVE Instagram Photo Contest runs from February 1 to 10, 2017. Followers of​ @favoriscents on Instagram are eligible to join the contest. c. Post must be accompanied by an answer to the question “How does FAVORI help create your favorite love feeling?” — may it be love for someone special, a particular passion or hobby, love for the outdoors or even your pet. Anything goes! d. Poster must tag @favoriscents and use the hashtags #CreateYourFavoriteLoveFeeling #FAVORIforLOVE #favoriPH (Poster’s account privacy must be set to Public). Follower’s can post as many entries as they want within the contest duration. The four (4) winners will be chosen by @favoriscents, and announced on the FAVORI Instagram account. 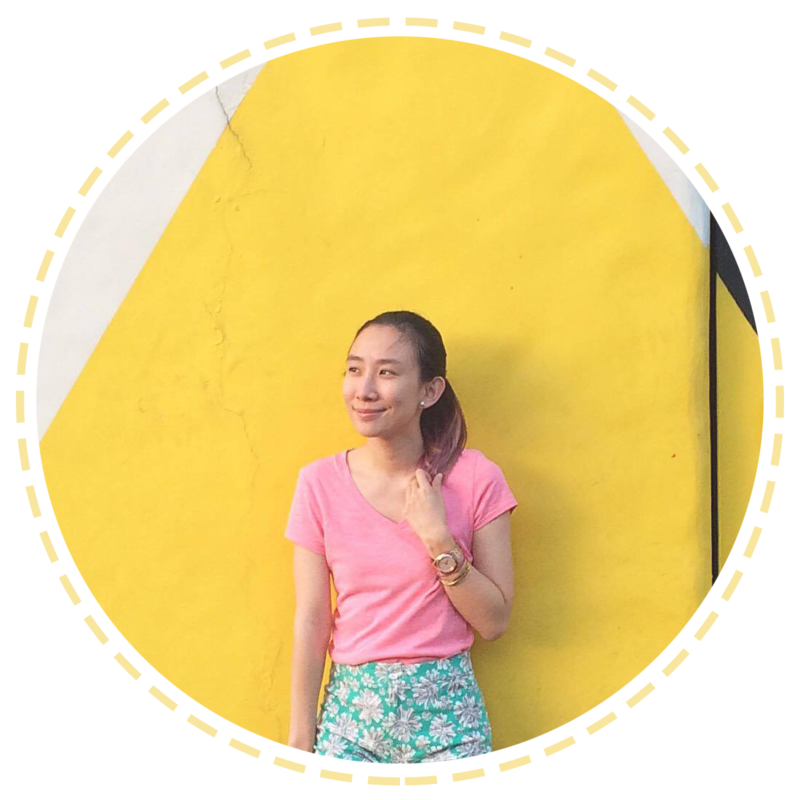 One winner will be posted each day from February 11 to 14, 2017. Winners will also be notified thru direct message on their Instagram accounts. Try the awesome products of FAVORI! Visit them at Robinson’s Place Manila, SM Megamall, SM City Marikina, SM Southmall and Market! Market! Inviting You To Join! Click These Links!